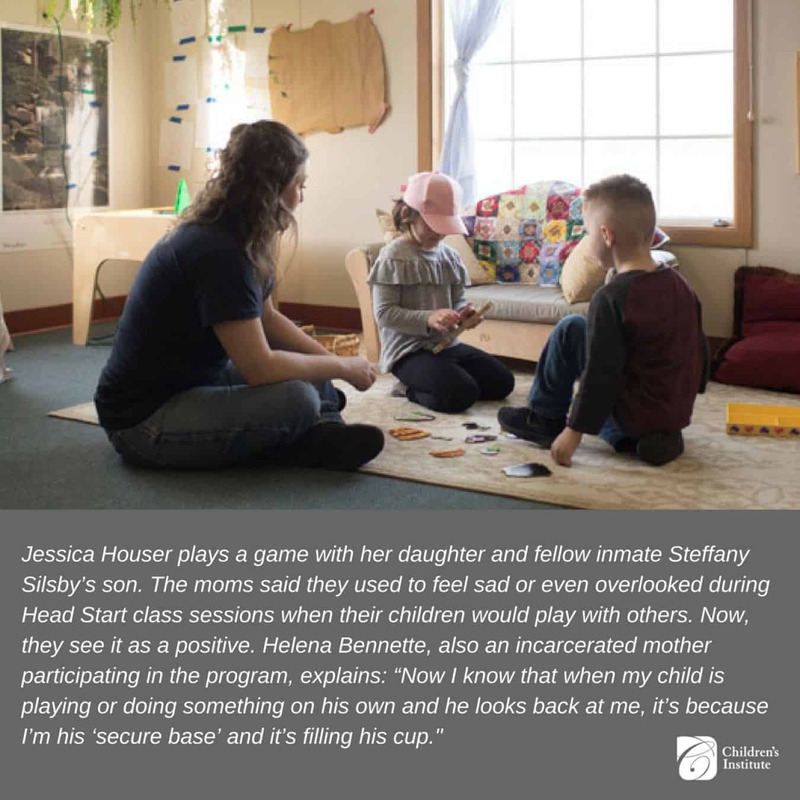 In part I of this two-part story on mothers at Coffee Creek Correctional Facility in Wilsonville, Oregon, we learn about two programs operating within the prison, Head Start and Nurturing Healthy Attachments, that help mothers and their young children form strong and healthy bonds. Learn more about three mothers who participated in the program in Part II of this story. Jessica Houser was trying to change her 9-month-old daughter’s diaper, but her baby wouldn’t stop screaming. Jessica got frustrated, then upset. She remembers being on the verge of tears when a gentle voice came from over her shoulder: “You could label her feelings.” Jessica was skeptical: “I was thinking, what’s that going to do? But I said something like, ‘You look mad or frustrated.’ And she literally immediately stopped crying and took a deep breath,” Jessica says. The voice in her ear was parent coach Carmen Slothower, who works at the Head Start preschool at Coffee Creek Correctional Facility, a women’s prison in Wilsonville. The on-site Head Start is one of the few of its kind in the nation. Children with incarcerated mothers in minimum security come twice a week for three and a half hours. During that time, the parents are with their children in the classroom, and they get constant help from Carmen, the teacher, fellow moms in the program, as well as a parent advocate. Jessica was five weeks pregnant and two days clean and sober when she was arrested. She delivered her baby while incarcerated at Coffee Creek and got to spend 24 hours with her first and only child before returning to prison. Despite the challenges, Jessica says she and her now 4-year-old daughter have a loving and healthy relationship. She credits that to the support that Head Start offers as well as Nurturing Healthy Attachments, an innovative pilot program at Coffee Creek that combined the on-site Head Start program with an eight-week targeted group therapy session for moms through a world-renown program called Circle of Security, which is designed to help parents understand their child’s needs and respond in a way that promotes the formation of healthy bonds. The pilot project also included parent coaching and innovative classroom tools to help manage difficult parenting moments. Between 1980 and 2014, the number of women in state and federal prison increased by more than 700 percent. That means a jump from just over 26,000 women in prison and jail in 1980 to more than 222,000 in 2014, according to The Sentencing Project. More than 60 percent of women in state prisons have children under age 18, according to the same report. In 2007, nearly 150,000 children in the U.S. had a mother who was incarcerated, according to a study by the Bureau of Justice Statistics. The same study identified that 64 percent of moms in state prison had custody of their children before their arrest. And 42 percent of mothers who are imprisoned were single parents before their arrest. “The literature shows that incarcerated women are likely to be single mothers who are undereducated and have a history of drug and alcohol abuse, poverty, victimization, and other trauma,” says Glen Cooper, one of three founders of Circle of Security, an early intervention program aimed at increasing attachment and security. Circle of Security is one of three programs that were combined to create Nurturing Healthy Attachments, the pilot program. “The accumulated burdens of these hardships make even minimally adequate parenting extremely difficult,” Cooper says. Add in incarceration and separation, and Cooper says it’s easy to see how it leads to another generation of incarceration. Research has shown it’s most critical that young children develop stable, healthy attachments with parents and caregivers to reduce long-term negative effects of parental incarceration. 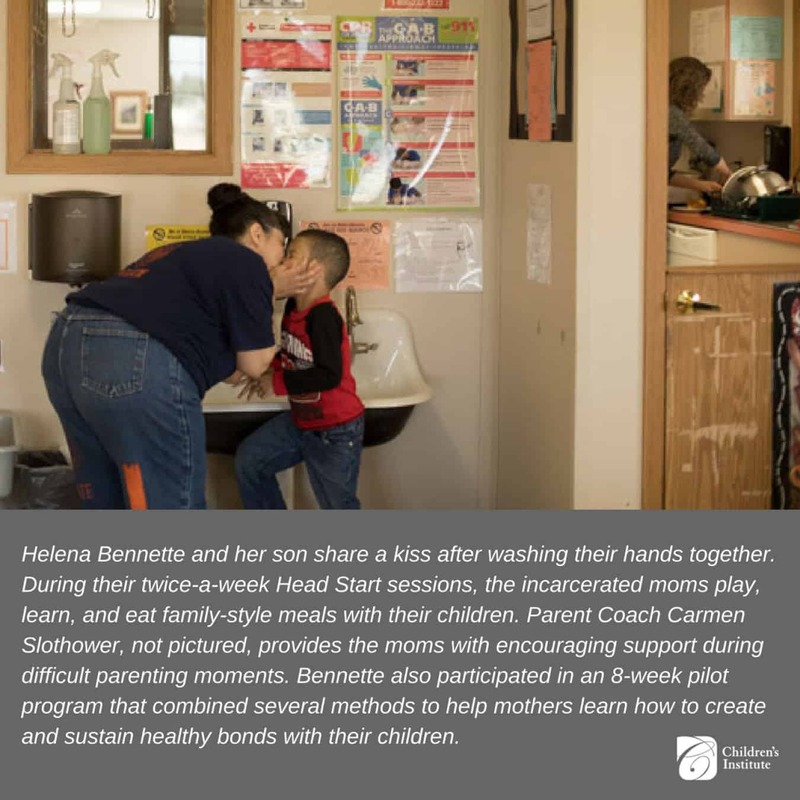 The NCSL report suggests maintaining regular, meaningful contact between incarcerated parents and their children as well as improving inmates’ parenting skills, yet few states have programs or policies to ensure that occurs. That’s why the Head Start at Coffee Creek and Nurturing Healthy Attachments are so critical, Cooper says. “Helping these mothers develop nurturing bonds with their children benefits both the parents and the children,” he says. 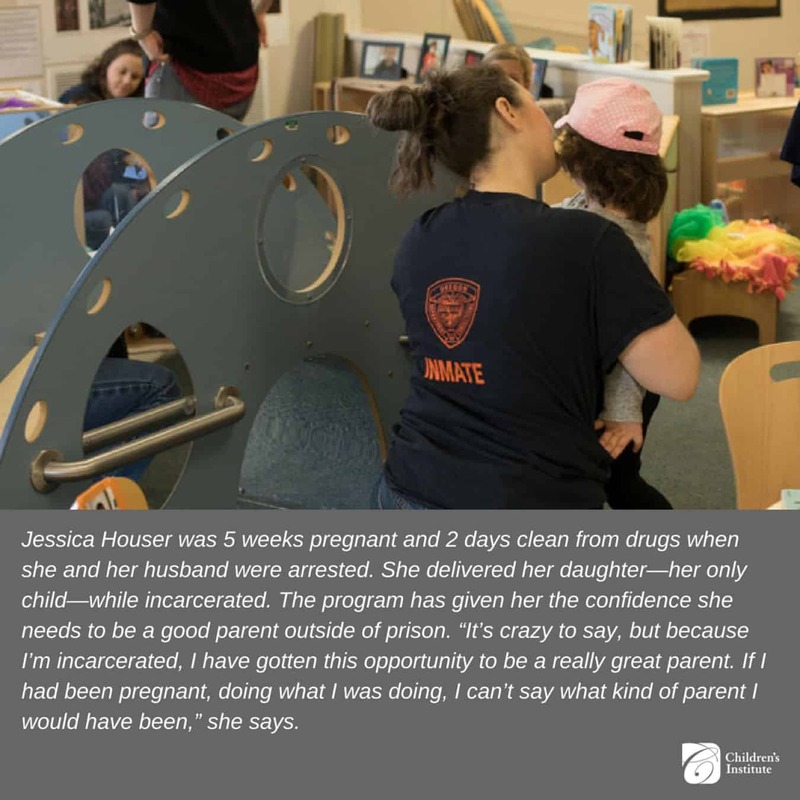 On one hand, incarcerated moms are incredibly motivated by having a sense of connection, purpose and self worth, which all come from having a positive relationship with their child, he says. And a sense of safety and security with a parent “is correlated with far-reaching positive outcomes” for the child, he says. 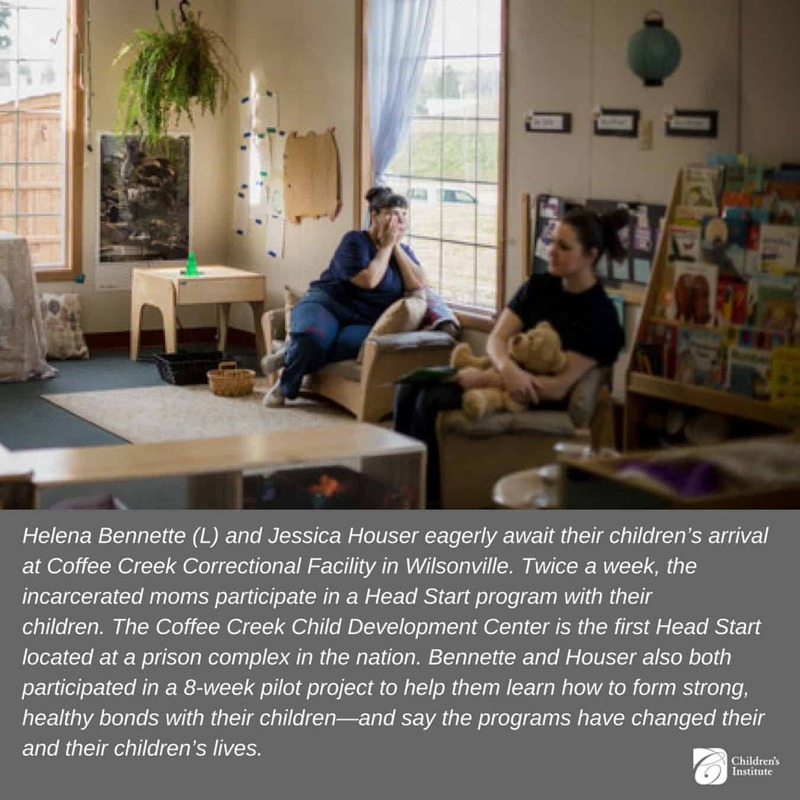 When Coffee Creek was built in 2001, the Oregon Department of Corrections partnered with Head Start to open one of the first Head Start offices co-located with a prison. Traditionally, Head Start is for children ages 3–5, and younger children attend Early Head Start. This program combines the two to allow more mothers and children to participate. The center, which is run through Community Action of Washington County, is licensed to serve up to eight children. Their mothers must be in minimum security (Coffee Creek has both medium and minimum-security areas) and have fewer than four years remaining on their sentence, Slothower says. In addition, the children must live within one hour of the prison and have a caregiver willing to drive them to and from school two days a week. During those school days, the mothers join their children for hands-on activities, outside play and family-style meals. Slothower helps the moms navigate day-to-day challenges of parenting with practical and loving guidance, and there are two parent advocates who take turns in the classroom to provide additional support. 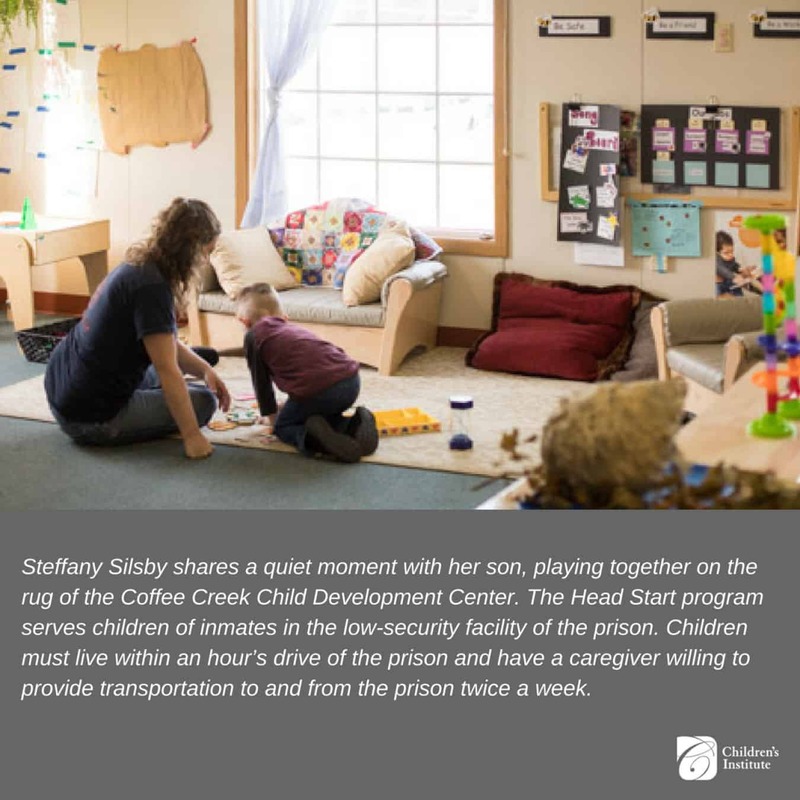 In 2017, Sherri Alderman, vice president of the Oregon Infant Mental Health Association and a Developmental Behavioral Pediatrician, began to develop a concept for a pilot project that would layer in additional parenting supports to help the moms build a strong, healthy bond with their children despite incarceration. “I’ve focused my career on the most vulnerable, specifically serving very young children. I’ve done research, advocacy, systems change and workforce development all related to early childhood and attachment,” she says. Through those decades of work, she’s found models that really work—including Circle of Security. She’s also a champion of the Vroom app, which parents can download for free and receive targeted, age-appropriate ideas for ways to engage with their children. Alderman started thinking about ways to incorporate the two vastly different—yet complementary—programs. With Circle of Security, she saw a way for the moms to dig deep and change behaviors, and with Vroom she saw a way to give parents practical tips for engagement during their regular visits. She also wanted to layer in information particularly about phases of child development, as those times can be particularly challenging for both parent and child. “We know that unrealistic parental expectations for a child’s behavior is a risk factor for child abuse—and that can happen particularly during times of very dynamic developmental growth, such as potty training,” she says. So, she included Act Early resources through the Centers for Disease Control and Prevention, a resource that teaches parents about developmental milestones and how those drastic changes might affect their child’s behavior. But there were obstacles: How would she transform a phone app into something the moms, who had no access to smartphones could use? And how would she meld the three distinct programs in a way that worked together? She worked with Circle of Security creators in Spokane and Vroom to ensure the programs were compatible. She created printouts of activities and suggestions from the Vroom app. And she worked to secure the funding to create, administer and measure the effectiveness of the pilot program. The moms who participated continued to meet twice a week at Head Start with their kids, but also participated in a weekly two-hour group Circle of Security session where they would discuss parenting issues, talk through their problems and learn about how to promote healthy bonds with their children. In the classroom, they had posters, handouts and even key rings with Vroom materials on tiny laminated cards with ideas and pictures for positive responses to difficult situations. Though the program finished a year ago, the moms say the intense program combined with the constant, gentle coaching from Slothower has helped them transform their ideas about parenting, attachment and themselves. “This experience has completely changed everything in my life,” says Helena Bennette, a 43-year-old mom who participated in the pilot project. “It’s a two-way street. I can’t do what I do if you’re not hungry for information,” Slothower says. “You take the information and you’re willing to try it and run with it. I’m a firm believer in that trusting relationship,” she says. She says the program evaluations showed that many of the mothers in the pilot program reported that they had participated in previous parenting classes, but “Nurturing Healthy Attachments was the first one that they really felt an empathic shift,” she says, meaning the program didn’t just teach them tools and skills but actually shifted their entire mindset around parenting. She’s working on ways the program can continue on a rolling basis to serve the needs of moms who may only be in prison for a short time. 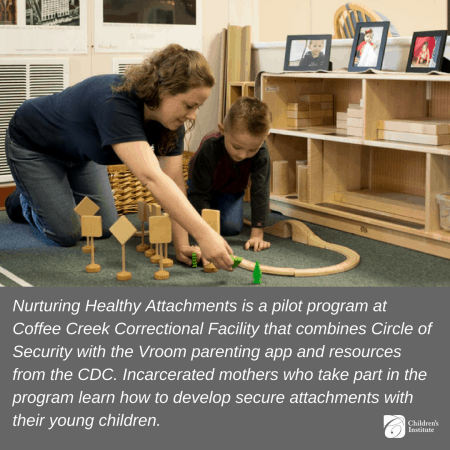 She’s also working with Coffee Creek to post Vroom activities in the prison visiting area and phone kiosks, so all incarcerated parents can benefit from the practical tips. She’s also looking at creating a program for incarcerated fathers. “The interest and the passion is there,” she says. Slothower says the Head Start program is working on ways to keep the moms connected once they leave the prison walls so the support continues. “We’re hoping that, as a program, we can work on ways to continue building the community and relationships when moms parole,” she says. Cooper, the co-creator of Circle of Security, says the programs are worth every penny. “By investing in these parents now, we can reverse the cycles of incarceration and, as a society, we can reap the benefits of our efforts for generations,” he says. 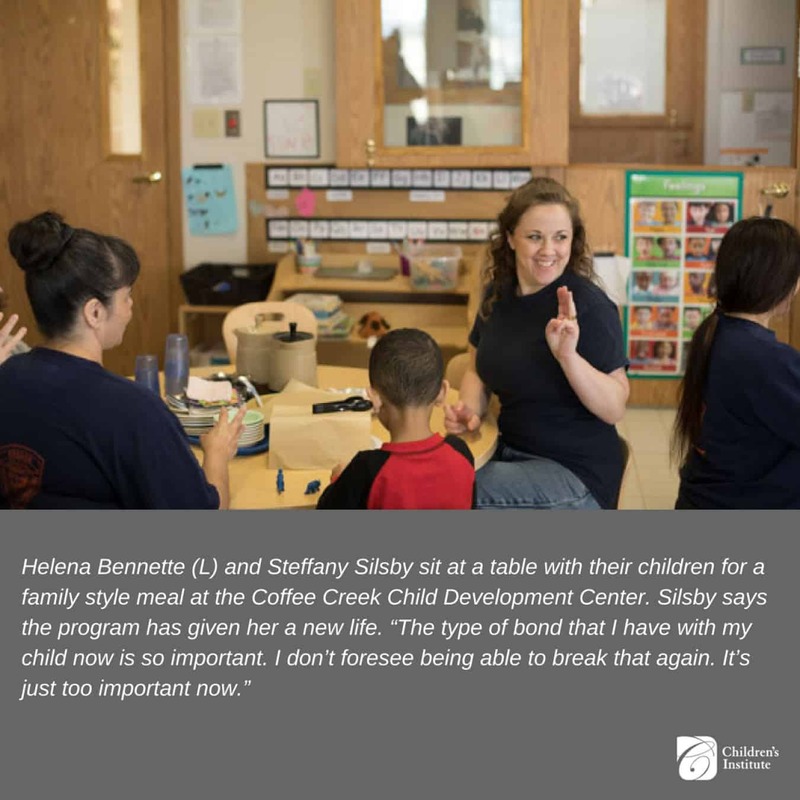 To learn more about supports for incarcerated parents and programs around the country that are getting results, read our conversation with three national experts on the topic.